Ever wondered how it felt like to be a miner, wearing one of those cool looking headlamps? That’s what we thought, with the Silva SIJU Headlamp that is available from Firebox. This £14.99 device will come in either black or green shades, where it will let you experience a hands-free moment whenever darkness falls outside, coming in handy as well if you have plenty of basement projects to work on. 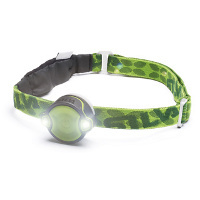 Apart from that, the Silva SIJU headlamp is also perfect for those emergency moments when the power is suddenly cut off – most importantly, you will have a couple of hands available so that you can always attend to other important stuff, such as saving a life. With a battery life of up to 48 hours at 16 lumens brightness, this is a water resistant device according to IPX6 specifications. It can be operated even when you are wearing gloves, thanks to a relatively large button.